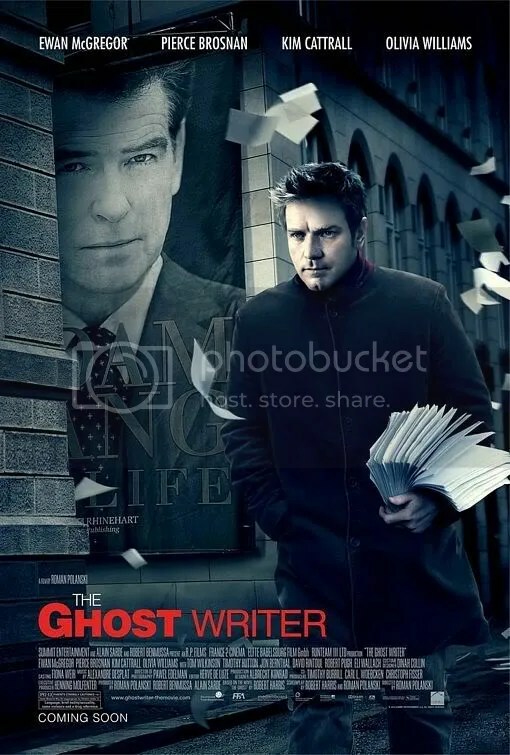 Fascinating political thriller about a ghost writer who fears for his life while working on the memoirs of a former world leader. Intricate plot starts slowly and tension builds as layer upon layer is uncovered. This adaptation of the Robert Harris novel has a sharp, well-informed script, and benefits from the sophisticated art direction as well. Eerie, remote locations significantly add to the bleak mood of the film. Roman Polanski’s sure-footed direction brings out the best in an already stellar cast, particularly Pierce Brosnan. As the former British Prime Minister he embodies the evil of the modern leader: handsome and charismatic, with a vacuous smile that hides a lack of principles in his quest for power. It’s a surprisingly good performance, one that stays with you long after the film is over. 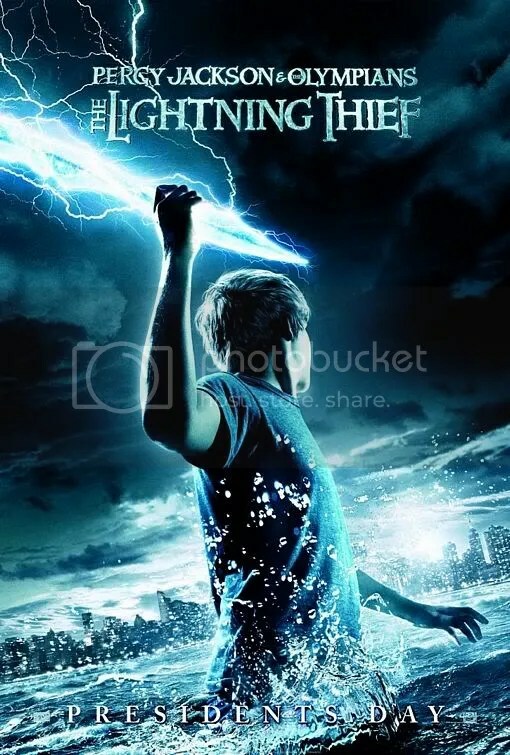 Ridiculous mythological fantasy about a high schooler who finds out he’s actually a demi-God, the son of Poseidon, and must find Zeus’ stolen lightning bolt. Kind a cross between Clash of the Titans and Beverly Hills 90210. One moment our hero is battling the 9 headed hydra (that’s good), another he is dancing to Lady GaGa in a Las Vegas casino (that’s bad). Schizophrenic mess of a film has a couple bright spots. Uma Thurman’s performance of Medusa, a variation of her own Poison Ivy character in Batman & Robin, is entertaining. Actor Brandon T. Jackson’s satyr is kind of amusing as well, but the main hero is completely forgettable and the action is too reliant on unnecessary special effects. Younger viewers may find the myriad of mythical creatures interesting, but older viewers will most likely react to this children’s fantasy with a “Been there, done that” attitude. Film is an adaptation of the first novel in the series by Rick Riordan. Absorbing drama about American POWs in a German World War II camp. Apparently, someone amongst the prisoners is a traitor, but who? Fascinating assortment of characters exhibit real camaraderie. Although there is an expected gravity underlying the proceedings, never before has a POW camp been enlivened by so much humor. Even legendary film director Otto Preminger as the evil camp commander, appears humorously benevolent. In the hands of a lesser director, the mix of comedy and drama would be jarring, but writer-director Billy Wilder flawlessly adapts the 1951 Broadway play with a discerning eye. 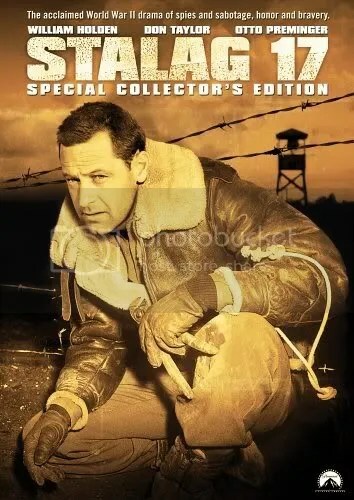 Actor William Holden is also brilliant as the cynical and self centered prisoner, J.J. Sefton, ostracized for the preferential treatment he receives from the enemy. It’s a brilliant achievement that earned him the Academy Award for Best Actor. His portrayal anchors a film already overflowing with brilliant performances. Leisurely paced WWII story about the months preceding the Japanese attack on Pearl Harbor at Schofield Barracks in Hawaii. Best remembered for the romantic rendezvous between Burt Lancaster and Deborah Kerr embracing on the beach as the waves crash over them. Be that as it may, this film is better appreciated as an acting powerhouse featuring one of the greatest casts of any film. Montgomery Clift is memorable as a private whose life is made miserable by an army captain when he refuses to fight in the regiment’s boxing team. Burt Lancaster is also excellent as a sergeant involved in an affair with his commander’s wife. Too emotionally sentimental to be a war movie and too macho to be a romantic drama. This entertaining (albeit overrated) literary adaptation fits somewhere in the middle. Received thirteen Academy Award nominations and won eight, including Best Picture. Stylish pulp thriller about two U.S. Marshals investigating the disappearance of a patient at a mental institution that houses the most criminally dangerous. To say this film is slick would be an understatement. A carefully chosen classical score effectively creates a feeling of anxious dread upon first seeing the foreboding island. Additionally the vivid cinematography makes the action more hyper-realized and visceral. But there is a brain underneath the razzle-dazzle. This script of this psychological head trip of a film unfolds intelligently, only exposing what it needs to until the end when all is revealed. Master director Martin Scorsese freely borrow from past, notably Hitchcock, but it feels more like a homage than actual theft. This is exciting stuff and a breathtaking reminder of how a competent thriller is done. 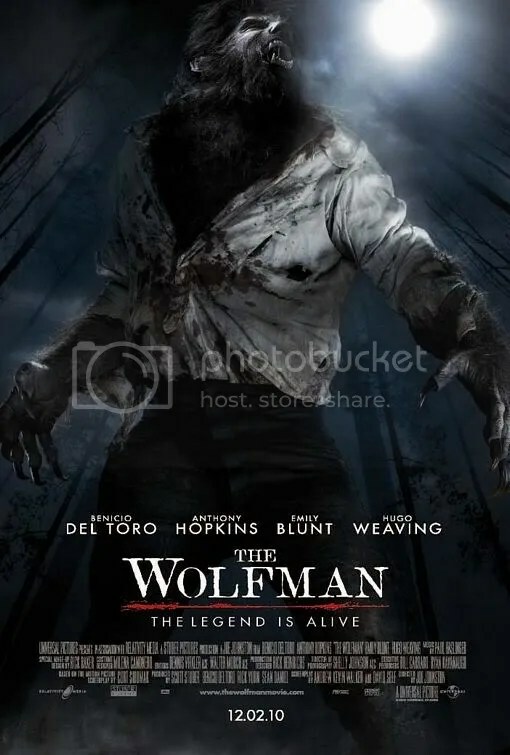 Routine horror film about Lawrence Talbot, a man who uncovers a curse while looking for his missing brother. Although the production has the look of quality, the technically polished, gothic details of Victorian-era London is a mere facade. Standard monster film offers no surprises, no twists and no excitement. In its place, we are treated to stridently gruesome amounts of blood and gore. 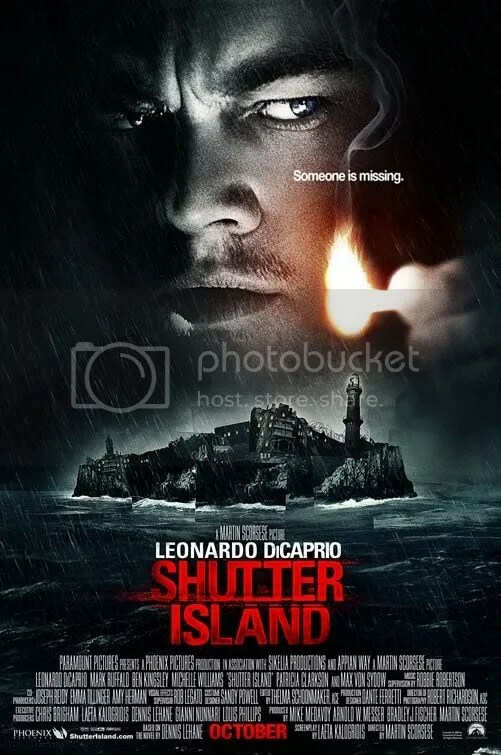 There is one admittedly exciting scene that involves scholars at a mental institution studying Lawrence’s so-called delusions. But the whole narrative would be sleep inducing if not for the loud amplified bursts of noise the soundtrack plays every 10 minutes to shock the audience into waking up. Actor Benicio Del Toro’s performance is as disinterested as the audience. Boring account of people fighting over the rights to Leo Tolstoy’s literary legacy during his final year. On the one side we have his wife, Sofya, who feels they should be bequeathed to his family. On the other, we’re given Vladimir Chertkova, a staunch disciple of the author‘s beliefs, who wants them as the property of the Russian people. Somewhere in the middle is Valentin Bulgakov, a naive private secretary. What should have been a fascinating subject, namely a biography of Leo Tolstoy, instead becomes a tedious discussion of how the copyrights of his novels should be entrusted. Although none of the characters are particularly interesting, director Michael Hoffman has unwisely made Valentin the focus of his film. Regrettably his spiritual awakening at Tolstoy’s vast country estate, is the real subject of this bland coming of age drama. 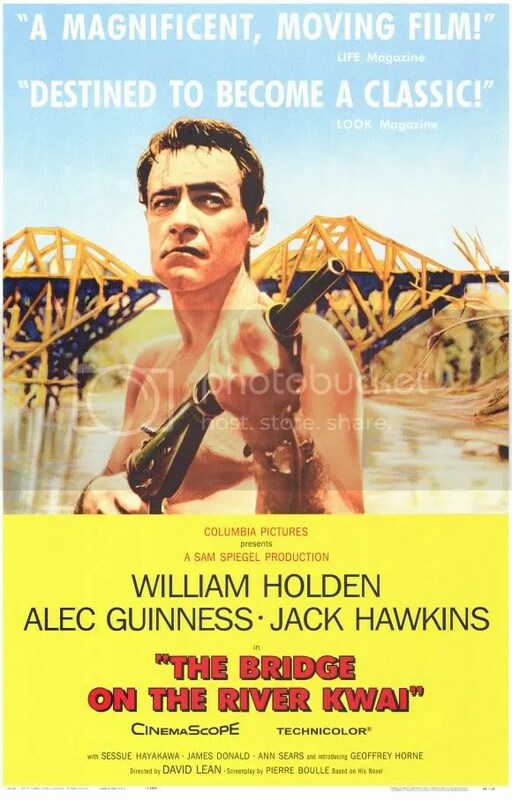 Thrilling epic about British prisoners during World War II who are ordered to build a bridge to accommodate the Burma-Siam railway. Director David Lean has wisely focused not on the overall conflict, but on the individuals involved and in doing so, has fashioned a perfect fable. Set in a Japanese POW camp, this landmark story features the now classic battle of wills between camp commander Colonel Saito and prisoner Colonel Nicholson. Sessue Hayakawa and Alec Guinness bring a brilliant subtlety to their respective parts. Their characterizations are transcendent: fully formed characters that are noble in their determination, yet critically flawed. The ethical conundrum it raises is just one of the many plot points that makes this drama so mesmerizing. Every 161 minutes of this film just flies by, and I don’t say that often.